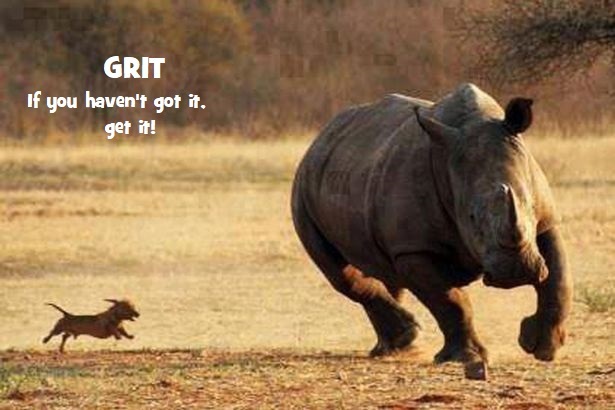 After some thirty years or so of managing and consulting in the credit and collection business, it seems to me that although technology and training are important, the most successful people in Accounts Receivable are those with grit. They may not be the smartest in the group, but they have ‘stickiness’, a thick skin, and when it comes down to it, just hate to lose. They also recognize that effective collections is not just today’s account or invoices, it is not a sprint but a marathon and that means ‘just the right amount’ of sandpaper in the relationship with customers for them to not want to be delinquent without good reason. G – Gap: A gritty collector knows they have to ‘mind the gap’, the difference between the amount owed and offered, as well as the dates. Yes, the gritty collector will work with customers in difficult situations, but gosh darn it, we deserve to be paid, we deserve to be paid on time and there are customers who are practising cash management with out money! R – Ready: A good scout is always prepared. Start work five or ten minutes early and read a tip or two on collection techniques. If there is a lot of stress with your clients, do some deep breathing before you begin. I – Indomitable: You decide. You are not going to be conquered or tamed. Yes, it is possible an account may not be paid, but the client will wish they had. Nothing illegal or immoral, but definitely an inconvenience. T – TED: There are not many books written on accounts receivable, but there are many books on sales, negotiations, and dealing with difficult people. Almost any of them will give you a technique that will be effective when communicating with delinquent customers. No time to read a book? How about listening to a TED talk? There are more than 2,500 videos and even if only 10% might apply to you and your business, that’s about 250. Better get started, eh? By the way, a TED talk on grit is where I got the idea for this article. I recommend a visit. For those interested, progressing on new book that should be complete in a couple of weeks, ‘The Reluctant Collector’.